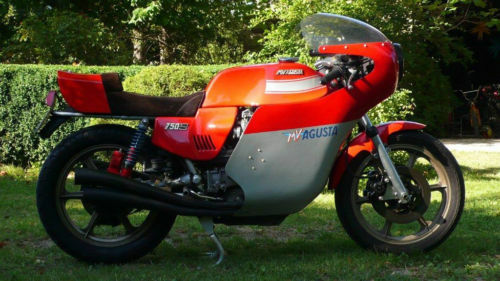 When you go shopping for a rare Italian sports bikes the name that often is at the top of your list is MV Agusta. 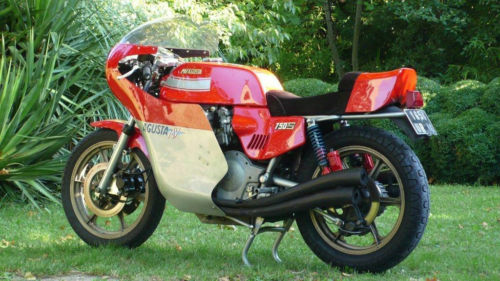 A company that started small (displacement wise) then dominated GP racing (can you say 17 years). When they offered a motorcycle for the road, it was going to be something special. If you are in a position to get yourself one, you will have to use the world map to search. 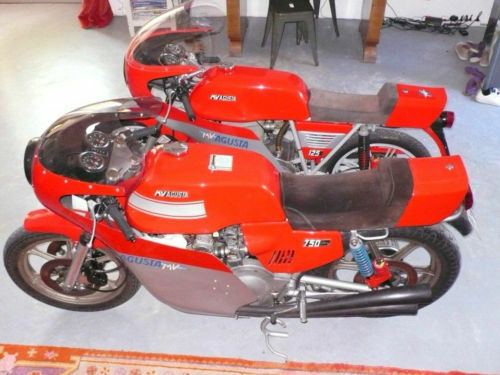 These TWO MV Augusta’s offered on eBay now are located in France, but marketed to US buyers. First let’s look at the Elephant. The 750S America has a direct connection to the efforts to win 17 World Championship. Four cylinders bored and stroked at 65x56cm with four VHB Dell’Orto carburetors, turning over Dual Overhead Camshafts at 8500rpm develop 75hp. If you have the stretch of road to explore, you and this 562lb bike could see 130mph. The full fairing will help with that top speed, and the dual disk up front will pull you back down. It has been quoted that the Count Augusta dictated that all road versions would only be offered with shaft drive in fear that a privateer could surpass the Works teams. But $75,000 starting bid. Then having to ship it? Maybe that is why the mouse was included. 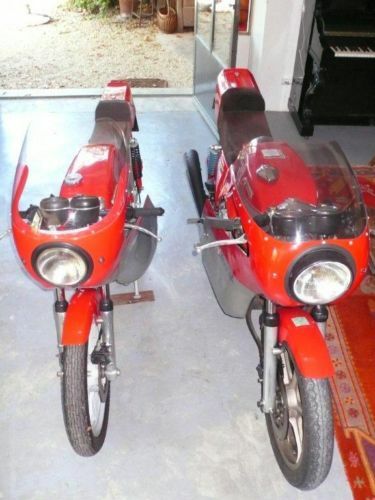 The seller doesn’t tell us the model of the 125 S, but I am going to guess that it is a 125 Sport from the same era. It petite but still offered 14hp at 8500rpm, and with the pedigree that MV offers will be more then just another small Italian single. 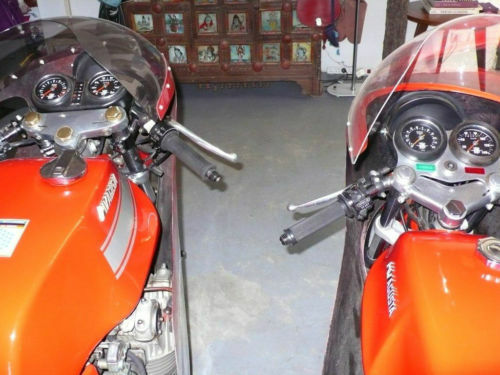 The matching fairing, the matching color palette make for a perfect set of bookends for your garage. 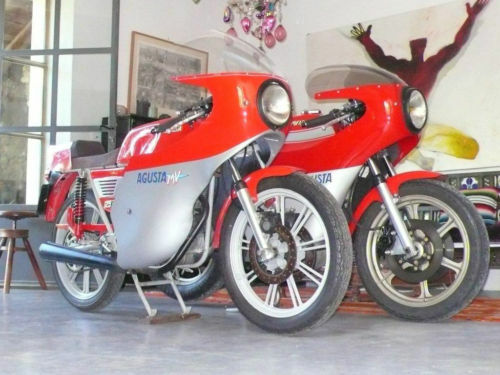 I will admit that it would be hard to choose the 125 over the 750 if you had both in your garage, but I would really like to have to stand there and have to make that decision.